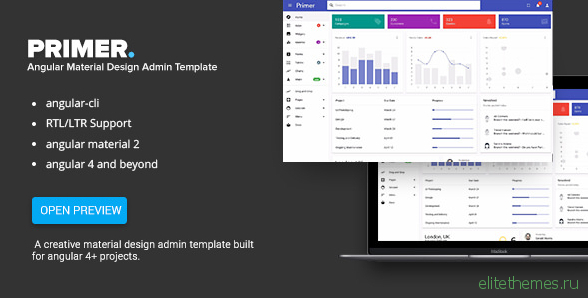 Primer is a creative material design admin template built with Angular 5. It comes out of the box with AoT and lazy loading support, Language translation , RTL support and light and dark colour schemes. With this, you get all you need to start working on your SAAS, CRM, CMS or dashboard based project.